The Tennessee Advanced Energy Business Council submitted the following comments to the Tennessee Valley Authority (TVA) regarding its 2019 Integrated Resource Plan (IRP) scoping. 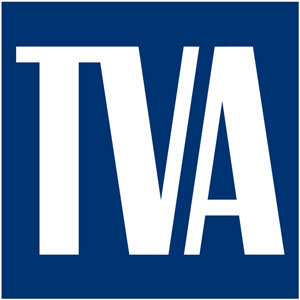 The Tennessee Advanced Energy Business Council (TAEBC) is pleased to submit the following comments to the Tennessee Valley Authority (TVA) regarding its 2019 Integrated Resource Plan (IRP) scoping. TAEBC would like to reiterate our commitment to supporting TVA as it takes steps to proactively address the evolving utility marketplace. Our intent is to provide TVA with economic development data to inform the utility’s decision on how best to meet future electricity demands. We encourage TVA to examine the advanced energy industry and Tennessee’s leadership position within the industry as it considers its 2019 IRP. This is a growing and lucrative sector of our economy. States and regions that provide an attractive home for this industry – and its workforce – will be rewarded with jobs and capital investment. For example, Tennessee’s advanced energy economy contributes $33 billion to our state’s GDP, employs nearly 325,000 people, includes more than 17,000 business entities and pays an average annual wage that exceeds the state average. Globally, advanced energy is a $1.4 trillion industry. That is almost twice the size of the global airline industry and nearly equal to worldwide apparel revenue. TAEBC has seen Fortune 100 and Fortune 500 companies across the country and Tennessee commit to reducing greenhouse gas emissions, increase energy efficiency targets or establish sustainability goals. To remain competitive at recruiting and retaining business and industry, the Valley must offer an attractive environment for these companies to meet their goals and deploy advanced energy technologies. As an example, Amazon specifically mentions “sustainability” in its HQ2 FAQ page – noting the company’s commitment to deploy advanced energy technologies at its facilities. The state that is selected for Amazon’s HQ2 will be rewarded with a $5 billion construction project and as many as 50,000 high-paying jobs. “Overall, nearly half of the companies in the 2016 Fortune 500 have set targets to reduce greenhouse gases (GHG), improve energy efficiency, and/or increase renewable energy sourcing—up five percentage points from our last report in 2014. We encourage TVA to use the IRP to increase technological innovation and investment in the Valley so that we may seize this opportunity and emerge on the winning end of this trend, rather than fall behind. ● Ensure there is a collaborative, public, open stakeholder process for developing the IRP. ● Resource planning should include both TVA-built resources and procured third-party resources; as well as take into consideration customer-sited and demand-side management resources. Correctly valuing distributed energy resources (DERs) is critical to integrating the benefits they offer to both demand and supply side operators. Valuing a stack or system of DERs is a challenge that must be addressed as the net benefits may increase when certain technologies are used together.